SKU: N/A. Tags: cd labels australia, cd labels melbourne, cd labels printing, cd labels sydney, CD Stickers Printing Adelaide, CD Stickers Printing Albany, CD Stickers Printing Albury, CD Stickers Printing Australian Capital Territory, CD Stickers Printing Ballarat, CD Stickers Printing Bathurst, CD Stickers Printing Bendigo, CD Stickers Printing Bowral, CD Stickers Printing Brisbane, CD Stickers Printing Bunbury, CD Stickers Printing Bundaberg, CD Stickers Printing Busselton, CD Stickers Printing Cairns, CD Stickers Printing Canberra, CD Stickers Printing Coffs Harbour, CD Stickers Printing Darwin, CD Stickers Printing Devonport, CD Stickers Printing Dubbo, CD Stickers Printing Geelong, CD Stickers Printing Geraldton, CD Stickers Printing Gladstone, CD Stickers Printing Gold Coast, CD Stickers Printing Hervey Bay, CD Stickers Printing Hobart, CD Stickers Printing Kalgoorlie-Boulder, CD Stickers Printing Launceston, CD Stickers Printing Mackay, CD Stickers Printing Melbourne, CD Stickers Printing Mildura, CD Stickers Printing New South Wales, CD Stickers Printing Newcastle, CD Stickers Printing Northern Territory, CD Stickers Printing Nowra, CD Stickers Printing Orange, CD Stickers Printing Perth, CD Stickers Printing Port Macquarie, CD Stickers Printing Queensland, CD Stickers Printing Rockhampton, cd stickers printing services, CD Stickers Printing Shepparton, CD Stickers Printing South Australia, CD Stickers Printing Sunshine Coast, CD Stickers Printing Sydney, CD Stickers Printing Tamworth, CD Stickers Printing Tasmania, CD Stickers Printing Toowoomba, CD Stickers Printing Townsville, CD Stickers Printing Traralgon, CD Stickers Printing Victoria, CD Stickers Printing Wagga Wagga, CD Stickers Printing Warragul, CD Stickers Printing Warrnambool, CD Stickers Printing Western Australia, CD Stickers Printing Wollongong, cheap cd stickers, custom cd labels, full colour cd labels, vinyl cd labels, Counter Stands Printing, Custom Counter Stands Printing, Full Color Counter Stands Printing, heavy Counter Stands Printing, two pocket Counter Stands Printing. 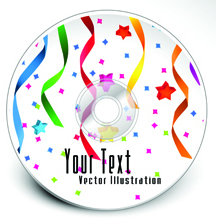 Many people degrade the importance of custom stickers for product promotion. Probably, small-sized stickers don’t have any practical use for them. Due to this concept, only few businesses use promotional labels to create their brand advertisement. They don’t even realize that these little ornaments can in fact do great things for them. 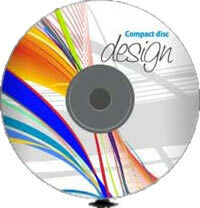 The use of printed CD stickers will definitely escalate the popularity of their services and products. 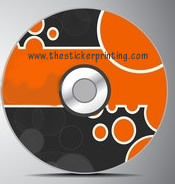 The use of tailored stickers for business logo provides the effective tool of marketing. They can be seen and found everywhere and anywhere. You can stick them on CD and on other things. 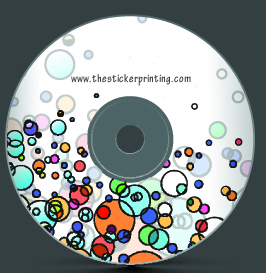 Compared to other popular marketing items, these stickers are unlimited. They can market your product, brand, and business in unthinkable ways. You can stick them on any visible product you want. 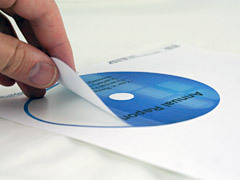 Because custom-made CD stickers are neither handy tokens nor gadgets, the cost is not really expensive. Furthermore, stickers and decals will last for years compared to other corporate giveaways like calendars, hats, and umbrellas that get worn out in time. Once these labels are attached to any item, they will stay there for a long time and can’t be easily destroyed. Even they can be used on any matching product you like. Never underestimate what they can do to advertise your products successfully. What is required is a small amount only and you can already produce huge marketing materials, allowing your product to be recognized for years. Indeed, giveaway marketing items like stickers is a perfect way to spread out your business brand name instantly. Personalized stickers are also useful during political campaigns. The greatest benefit they provide is that they are not wasted when being used. The moment they are glued at one area, they start doing your promotion and will be kept in place for some time. 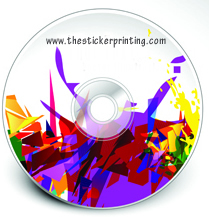 Thus, if you are also looking to grab the advantage of CD Sticker printing, then “The Sticker Printing“, is the perfect stop for you as we come up with a wide array of papers and colors that will give your CD stickers an extraordinary look which was never possible earlier to have. All you need to do is to give us a call on our helpline no or send us email at our registered mail address. Our one of the executive will contact you as soon as possible. 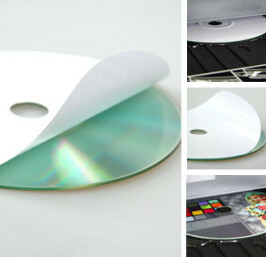 In addition, we are also offering the services of giving additional effects to your existing CD stickers so that it can stay out from your competitors. 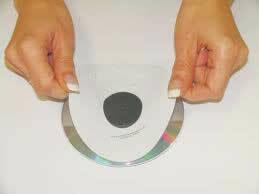 The size which we are offering here is 118mm CD size. For placing your order with us, feel free to call us on our helpline no: (03) 9088 0317 or send us email at: sales@thestickerprinting.com We operate 24 / 7 to bring you the best services. The best…the best …. 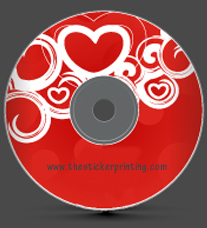 and the best service provider till I have….I am truly happy with my CD stickers and their services!! Must say this is the only destination for you to have your own CD stickers….